I am a strong proponent of best practices, so why not apply best practices to productivity hacking? What I mean by that is that my approach to business processes is to pull from my knowledge of many different “business philosophies” and develop what might be the best solution for that issue. Then make small changes until you get to the best solution. You should consider using this same approach when you are productivity hacking. It was business talk radio that drove me to write this. I was listening to a program and two people were going on and on about how getting up early solves everything. After all, if you get up 30 minutes earlier in a week, you have 3 1/2 extra hours. In a month, that is 15 extra hours and over the year that is 180 hours. What could you get done with 180 extra hours? What if the morning is not your most productive time of the day? How productive are you with less sleep? When I was seriously training for Triathlons and before that rowing, a common training technique I used was intervals. You train at race speed or faster for a short period of time followed by a rest. Your body does not fully recover during the rests, so your heart rate stays up and mentally I always felt I could go further, thus improving my training. Why wouldn’t the same apply for productivity hacking? Pomodoro Technique – developed by Francesco Cirillo, the concept is to set up your work day into 30-minute segments. Each segment is 25 minutes working followed by a 5 minutes rest. To see more on Pomodoro, get started on the Wikipedia Pomodoro Technique page. I have heard about this before from a lot of techies, but never really looked at Pomodoro. 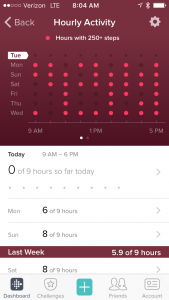 Then Fitbit changed their App a few weeks ago, maybe months now, to break out your day to get 250 steps every hour. I started getting up every hour to get my steps and was inadvertently doing Pomodoro. As you can see from the screenshot from my phone of the Fitbit App, I am not very good at getting to 250 steps. A quick Google search will give you plenty of free and paid options for Pomodoro timers. Right now I am using a web based Pomodoro Timer by MARINATIMER. You can check out the Pomodoro Timer here. What Productivity Hacking works for you? Are you using the Pomodoro Technique or other productivity hacks? 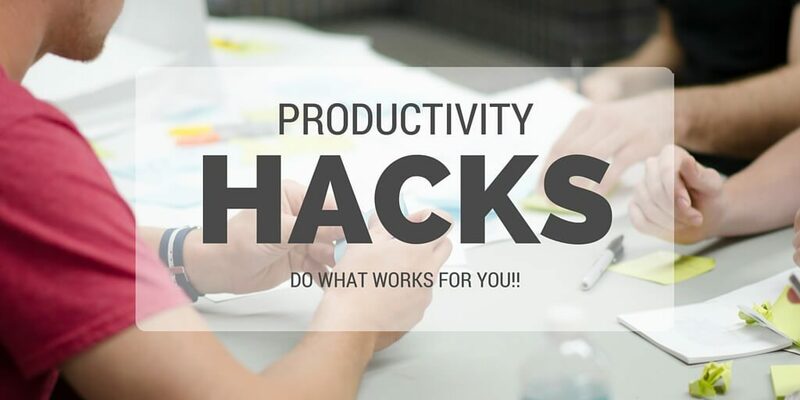 Use the comment section or send us an email at Sales@EagleStrategyGroup.com to let us know what productivity hacks work for you.